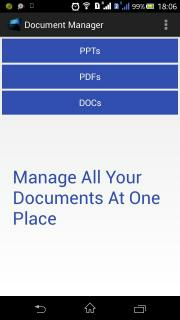 Now, You can access all of your documents at one place and you can also modify them. 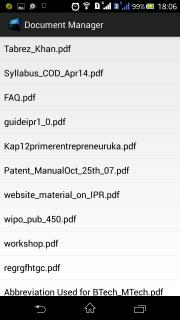 * Access all pdf files at one place. * Access all doc files at one place. 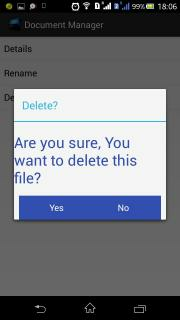 * Access all ppt files at one place. a. Personal Information. We do not collect Personal Information. “Personal Information” is information that identifies you or another person, such as your first name and last name, physical addresses, email addresses, telephone, fax, SSN, information stored within your device. b. Non-personal Information. We collect your non-personal information when you open our app, including your device information. We are very concerned about safeguarding the confidentiality of your information. We do not collect Personal Information, and we employ administrative, physical and electronic measures designed to protect your Non-Personal Information from unauthorized access and use. Please be aware that no security measures that we take to protect your information is absolutely guaranteed to avoid unauthorized access or use of your Non-Personal Information which is impenetrable. We do not provide service focus on Children. If you are under 18, you may use our app. If you have any questions or comments about this Policy or our privacy practices, or to report any violations of the Policy or abuse of the Services or the Site, please contact us at tabrezzk24@gmail.com.